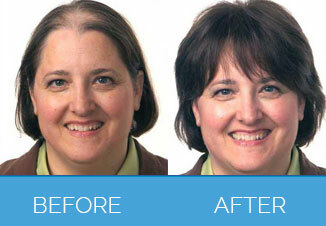 Hair Transplant Surgery is the best solution for women who are facing hair loss or extreme hair thinning. You are sure to experience absolutely natural results in a pain-free, comfortable and in a least complicated manner. Many women happen to suffer from hair loss owing to various reasons. This can worry them to a great extent, reducing their confidence and sometimes even leading towards depression. Hair oils, creams and medications do very little in improving such situations. At such times, Hair Transplant seems to be e very safe and effective solution. This is a procedure where in healthy hair follicles from the back of your head are extracted and then transplanted onto the recipient area (the area where you are facing hair loss or hair thinning). These hair follicles that are located at the back of your head are strong enough to grow healthy hair in a continuous manner, irrespective of where they are relocated to. The sophisticated technique used makes sure the results look absolutely natural in terms of colour, shape and texture. After all, it is your own hair. Apart from the above, many medications and treatments can also cause hair loss in many women. Follicular Unit Extraction (FUE) hair transplant for women: In Follicular Unit Extraction or FUE, the hair follicles found in the back of your head are extracted one by one and transplanted in a similar way on to the recipient site. This procedure doesn’t involve any sutures or staples on your donor area as there are no cuts. It works well for hair transplant procedures such as eyebrow transplant and eyelash transplant, where the number of grafts required is less. Follicular Unit Transplantation (FUT) hair transplant for women: When compared to FUE, FUT or Follicular Unit Transplantation is a faster hair transplant procedure where in thousands of grafts can be transplanted in one single session. A thin and long strip of tissues is extracted from your donor area, which is then dissected to prepare follicular unit grafts that contain 1, 2, 3 or 4 hair follicles. This works very well in scalp transplant where there may be bigger bald patches that may require hair transplantation. Some scarring in the donor area is inevitable here as there will be absorbable sutures or staples. 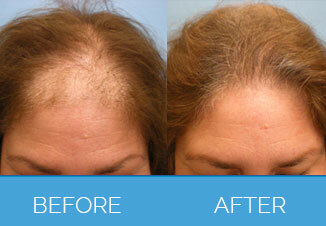 Scalp Hair Transplant: A head full of healthy hair is what every woman wants. However, not every woman is fortunate enough to enjoy this situation forever. Scalp Transplant seems like a boon to all these women who have suffered hair loss due to many reasons such as aging, genetics and hormonal imbalances. FUT is the method used here and the specialists at Nu Cosmetic Clinic take all the precautions to make sure you achieve absolutely natural results without any pain or discomfort. Eyebrow Restoration / Transplant: Eyebrow hair loss is a situation where you may start losing the hair on your eyebrows due to reasons such as over-plucking, eczema, hormonal imbalances or chemotherapy. While the regular eyebrow pencil cannot provide you a feasible solution to your problem, eyebrow transplant seems to be the best answer. This can give you thick and lush eyebrows with an excellent shape to them. Eye Lash Transplant: Long and lush eyelashes can enhance the beauty of your eyes in a remarkable way. While genetics and an abundant supply of necessary nutrients may help many women enjoy beautiful eyelashes, aging, hormonal imbalances and certain health conditions may cause eyelash hair loss in many others. Eyelash transplant is a painless and comfortable solution for these women to own absolutely natural eyelashes that will keep growing forever. Apart from temporary side effects such as slight bruising, redness, itching and swelling, you may not come across any major complications in hair transplant. It is important to follow the instructions given by your surgeon carefully so that you heal well and achieve the expected results, failing that may lead to minor infections. We, at Nu cosmetic clinic have referred many women to experts who have helped these women achieve their desired results through sophisticated hair transplant procedures. While many have been extremely satisfied with the kind of results they have experienced, a few have written reviews that we have on our testimonials page. Please read these through as this will give you a fair idea of the quality of the services. In simple terms, a transplant works by taking existing, healthy hair follicles from a conspicuous part of the head and moving it to an area of hair thinning. This very much depends on the amount of hair to be transplanted. Sometimes grafts take place over a number of days to prevent fatigue of the client and surgical team. Yes, both men and women can have hair transplants. A skilled and proficient hair transplant surgeon will be able to give you a very natural look that even your hairdresser cannot detect. However, the skills of hair transplant surgeons vary greatly and it is very important to choose an experienced, well-qualified surgeon to give you the best results. 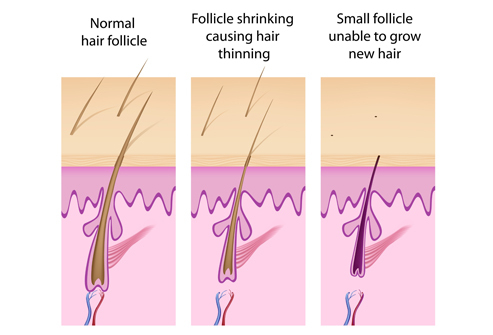 Yes, as the follicles that are transplanted are from a place that is unlikely to loose hair (often the nape), your transplanted follicles are very likely to remain. There are no patient stories currently for female hair transplant. We have a story by Gordon Fawcett for male hair transplant. You can read the complete story and watch the video testimonial here. Gordon is a middle aged professional working within the creative industry. Recently, he underwent a hair transplant to counteract a receding hairline. “As I am reaching a certain age, I decided to hold back time a little and to prevent any more hair loss” he quoted. Gordon made the appointment at his local Nu Cosmetic clinic in Liverpool after researching his options for clinics on-line. A combination of excellent feedback and information were the main criteria that took him to the Rodney Street branch in Liverpool. During the consultation, Gordon knew that he was in good hands, as constant communication and precedence studies clarified all his doubts, and attainable results. The actual possibilities to counteract his hair loss were now becoming a reality, as the case studies and pictorial database of previous clients assured.